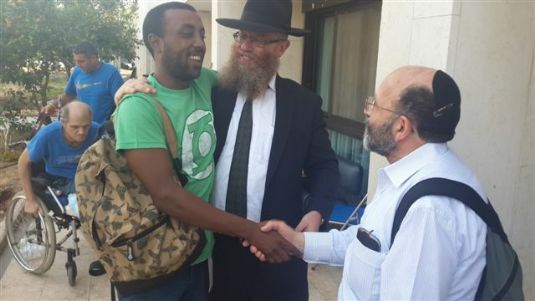 Rabbi Yaakov Barber, a Chabad Shaliach from Melbourne, Australia came to Israel recently with members of his community on a visit of solidarity with the people of Israel. 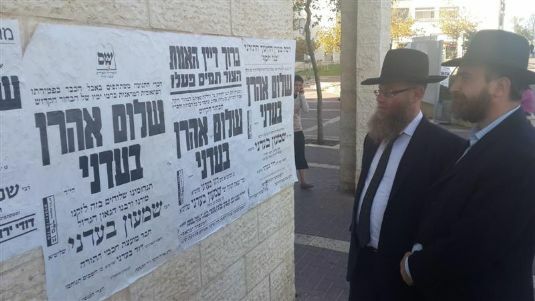 Together with a delegation from Chabad's Terror Victims Project (CTVP), they visited the families of the terror victims who were violently murdered in Israel in the last weeks by incomprehensible, senseless stabbings and by cars used as weapons. 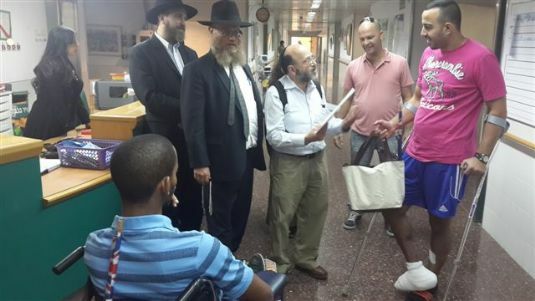 And they went to see those who were injured in these terror acts and are in the hospital. 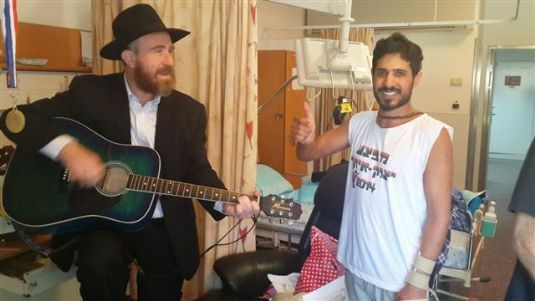 They also visited soldiers wounded in the Gaza War who are still in hospitals and rehabilitation facilities. For the many soldiers wounded in the Gaza War, they brought souvenirs from Australia, A Chitas, headsets and more. 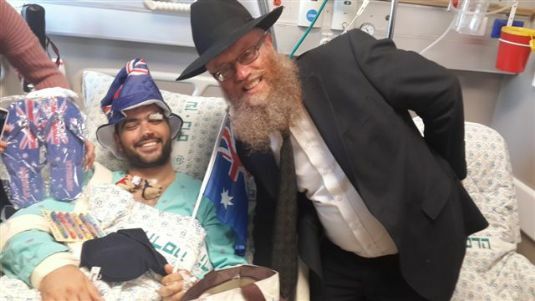 The gifts were lovingly packed in Australia by members of the Jewish community there who want to show their deep appreciation for all that these brave young soldiers have done to protect Israel for all of us. In addition to CTVP, the Australian group was also accompanied by soldiers who were veterans and who had been wounded in Operation Cast Lead and the Second Lebanon war. They had been on a CTVP trip to Australia five years ago where they were hosted by Rabbi Barber. They wanted to join him now and say thank you to this newest group of wounded soldiers and express their gratitude for their courage and for their carrying on in the defense of our precious Jewish homeland. The message this group brought to all the soldiers they visited in Israel was: We came to say thank you, to say that the struggle for the safety of the Land of Israel is a struggle for the safety of all Jews throughout the world. The sacrifices of the soldiers who fight in Israel are to protect Jews as far away as Australia. The wounded soldiers were so grateful for these visits. They said they gave them renewed strength of spirit to continue in their long and often painful rehabilitation processes. To know that so many people around the world cared about them was an enormous gift to them. The visits CTVP and Rabbi Barber’s group paid to recent terror victims and their families were extraordinarily emotional since the attacks have been so recent and the pain so raw. 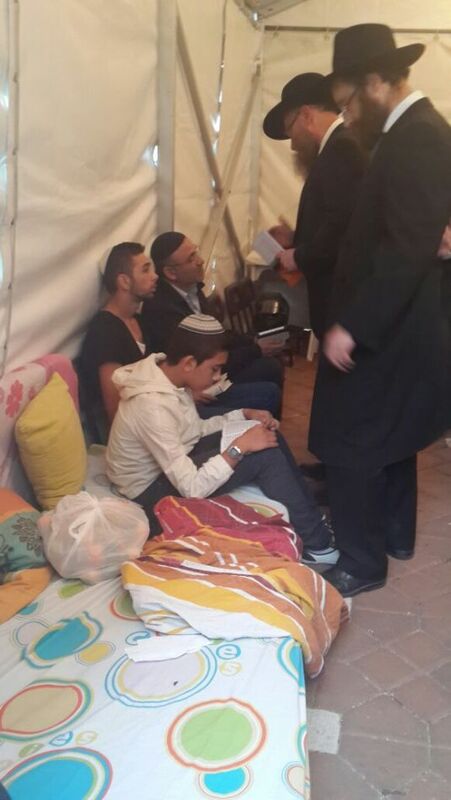 They spent time with the family of Rabbi Yehuda Glick, who was critically injured in a shooting attack in Jerusalem. They went to the families of three-month-old Haya Zissel Braun, 17-year-old Shalom Badani, 20-year-old Sergeant Almog Shiloni, and 26-year-old Dalia Lemkus, all murdered in cold blood in the past weeks – because they were Jews, because they were Israelis. The CTVP and Australian delegation sat with these bereaved families for a very long time to express their deep condolences and their support. They wanted them to know that the Australian Jewish community has them and all of Israel in their hearts and in their thoughts continually. 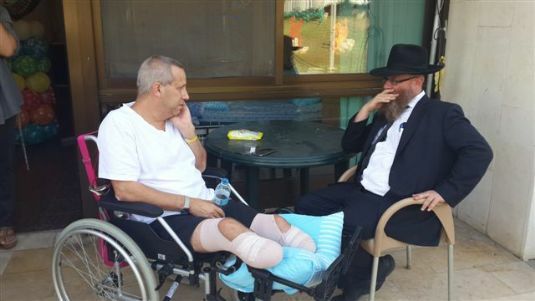 CTVP is working to assess the needs of these bereaved families – and the families of nearly 100 other Israelis wounded in these horrific terror attacks – to be able to provide individualized programs of support to meet their specific needs. CTVP will be with these grieving families for as long as they need us, no matter how long.